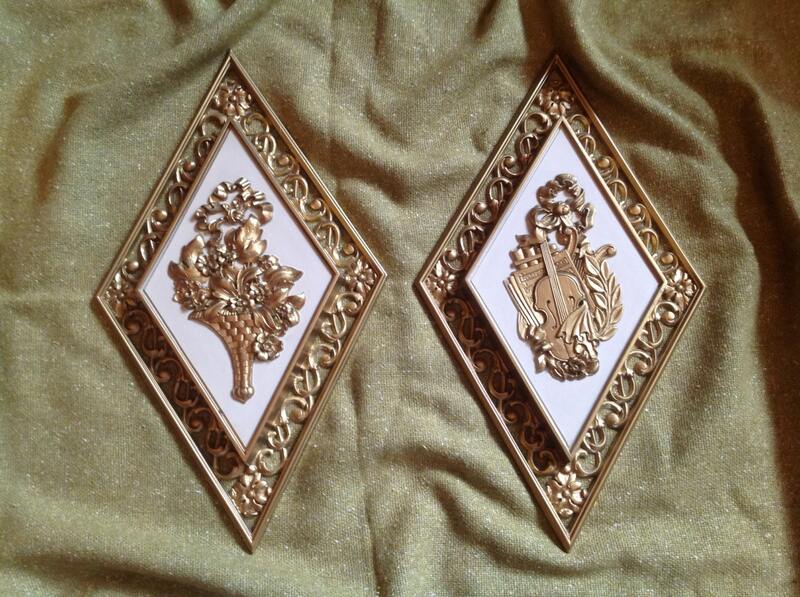 Pair of syroco-like vintage diamond shaped wall hangings of floral basket and violin by Dart, Ind. 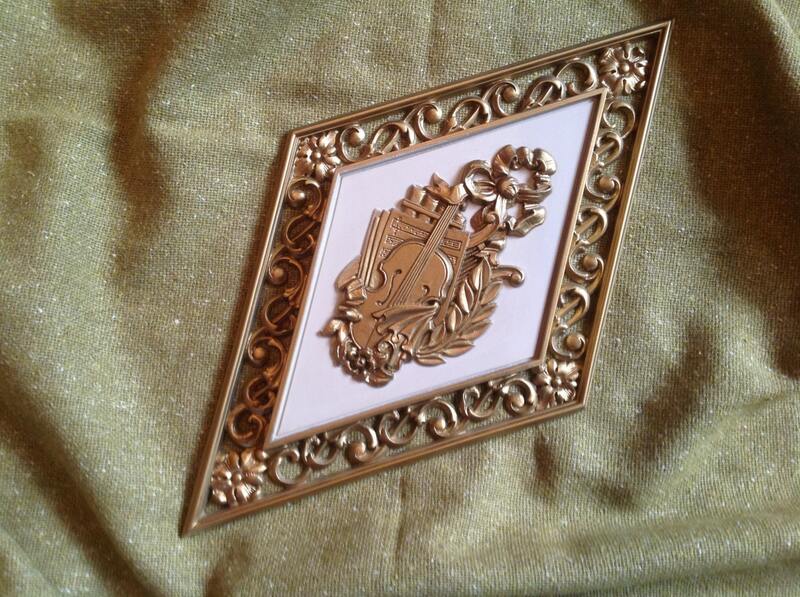 Offered is a pair of vintage diamond shaped wall hangings marked on the back "Dart, Ind. Made in USA" with a model #. 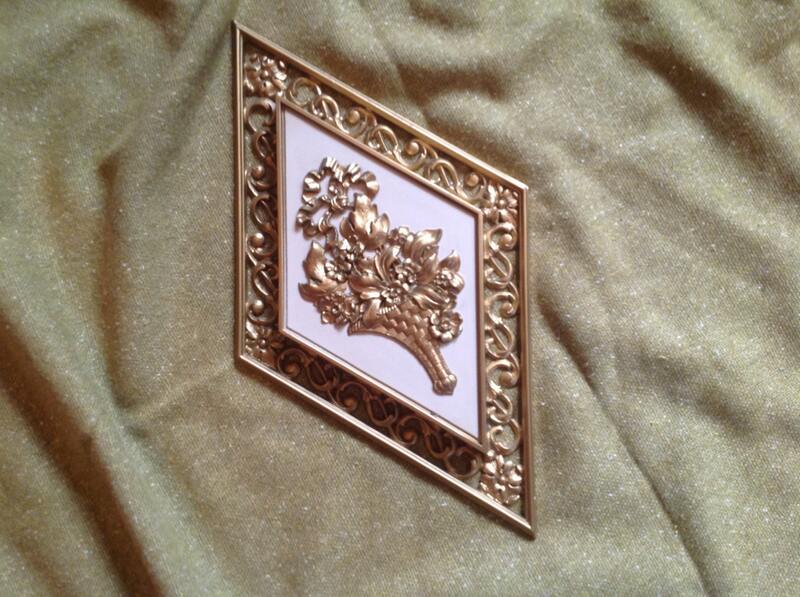 They are gold and ivory, with much detail. Excellent condition. 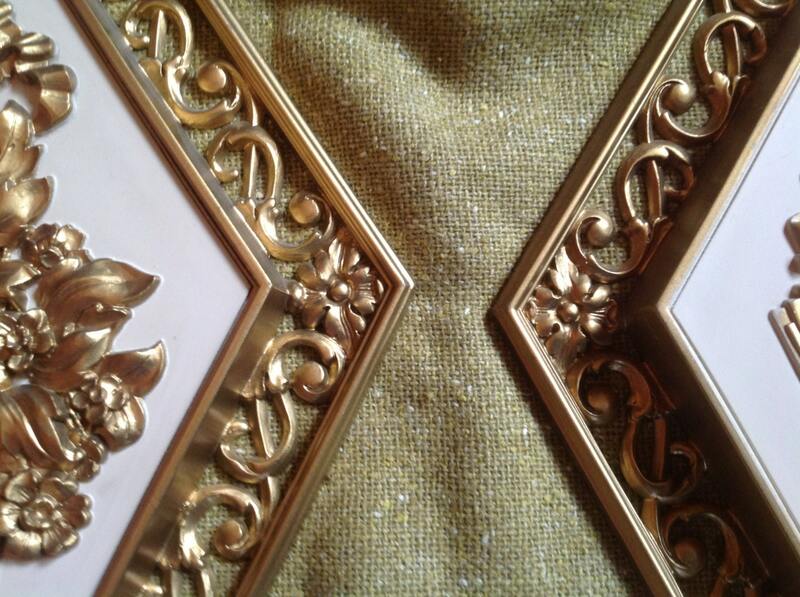 Great for mid-century, cottage chic, traditional, or French decor.